We have moved our office to a new location in Leipzig. Our new address is Barfußgäßchen 13, 04109 Leipzig, Germany. Our telephone numbers are 0049 (0)173 - 618 59 35 and 0049 (0)341 - 926 000 77. Petra Wollenberg has been appointed Professor of Architecture, Design Theory and Urban Design at the University of Applied Sciences in Erfurt. Construction work is near completion. As holistic approach to the environmental, economic, and occupant comfort, the building integrates a number of innovative sustainable construction strategies that will be the first to Indonesia. It represents the 2nd generation of Ecoloft projects taking the energy concept to an even more radical level. The Ecoloft Cirendeu residence applies the same state-of-the-art building standards but by adding TABS and enforced ventilation it becomes the most energy-efficient private residence in tropical Jakarta. The project has been realised in collaboration with Green Property Development Indonesia GPDI. 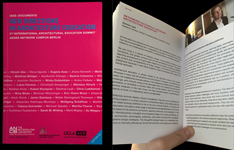 "Rethinking Culturally Relevant Architecture Education" by Dietmar Leyk is published in "New Directions in Architecture Education". He describes an outlook on the future of architecture schools committed to our contemporary time. The article discusses the role of alternative architecture education platforms, interdisciplinary strategies in architecture education, collaborations between architecture education and non-academic partners, and open-ended curricula. The book is published by ANCB The Metropolitan Laboratory in collaboration with IAES. 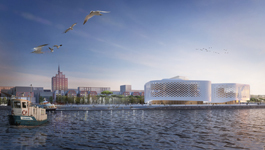 On 17 December 2014 lwa, together with 100 landschaftsarchitektur, has been awarded third prize in the international competition for the new harbour area including the new theatre in Rostock, Germany. The main challenges of this competition were the completion of the historic city, the creating of a highly adaptable common space for the existing quay area, and the most precise localization of the new theatre. Instead of awarding a second prize the jury awarded two third prizes. lwa and ateliergh are commissioned to design and realize the first flagship spa for evianSPA in Qatar. evianSPA represents a source of wellness that seeks to ensure that everyone can enjoy the benefits of water, in all its forms. 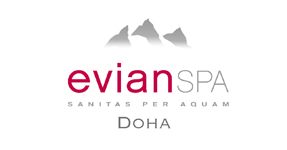 The spa in Qatar will be the first, which shows the complete new brand appearance of evianSPA. Construction starts in 2015. Construction works began. The House in Cirendeu is a private hillside residence overlooking a valley in Cirendeu, Jakarta. The design for the house is based on three leading motives. Firstly, the vertical addition of three rooms above a podium, secondly the intense relation to the exuberant tropical vegetation of Java, and thirdly the maximum use of state-of-the-art sustainable construction. A green atrium that connects all floors represents the heart of the house, granting cascades of daylight and views to the sky. lwa has been commissioned to realize four residential towers in Jakarta, Indonesia. The project comprises 1.000 apartments and a 20.000 sqm parc landscape. The holistic green efficiency concept maximizes the environmental comfort for the residents while minimizing the energy consumption as well as the mechanical equipment. Construction starts in autumn 2014. On Friday, 04 July 2014, Dietmar Leyk is invited to take part in the international conference "Architektur und Arbeit" during the INDUSTRIEKULTUR UND INNOVATION FESTIVAL in Le Fonds Belval, Luxembourg. Dietmar Leyk will present new concepts for workspaces, offices, and knowledge spaces from Leyk Wollenberg Architects' recent research work, expounding on the ways in which technological innovations, shifting values, and new circumstances will transform the way we work in the future. 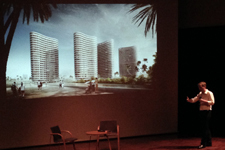 Dietmar Leyk was invited by the Goethe Institut Jakarta and the Rujak Center For Urban Studies to present the latest projects by Leyk Wollenberg Architects. His lecture, entitled "Architecture, Stills and Making Space ", focused on dualities like Intimacy and Exposure, Individuality and Collectivity, or Essentials and Peripherals in Architecture and Design. Goethehaus Jakarta, Jalan Sam Ratulangi No 9-15, Menteng, Jakarta Pusat. 30 October 2013, 19:30h, . 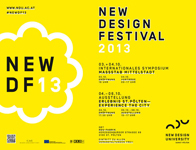 On Thursday, 03 and 04 October 2013, Petra Wollenberg is invited to take part in the international symposium "Massstab Mittelstadt" during the NEW DESIGN FESTIVAL 2013 at the University St. Pölten. In her lecture on 04 October she will be presenting the concept of "Specific Presence", a set of sustainable strategies for Midsize Cities. Dietmar Leyk co-conceptualised the 3rd International Architectural Education Summit together with Hitoshi Abe (UCLA Department of Architecture and Urban Design, Los Angeles), Kristin Feireiss and Hans-Jürgen Commerell (ANCB The Metropolitan Laboratory, Berlin), and Martha Thorne (IE School of Architecture, Madrid). The summit was dedicated to fostering a constructive dialogue between academics, practitioners, policy makers and industry representatives concerned with ideas to take architecture education forward. On the panel with Dietmar Leyk during the concluding discussion: Hitoshi Abe, Christoph Gengnagel, Winy Maas, and Mette Ramsgaard Thomsen. 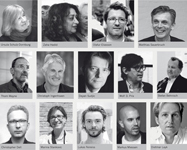 In February 2013 Petra Wollenberg and Dietmar Leyk are appointed to be members of the Bund Deutscher Architekten BDA. "Distinguished by the exceptional quality of their work, their personal integrity and collegiality and their shared commitment to Baukultur and professional performance. 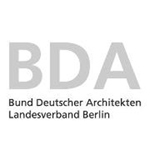 The members of the BDA are among the leading independent architects in Germany. The BDA appoints only members whose character and work meet strict criteria; appointment in the BDA is both an honour and a recognition of high-quality work." 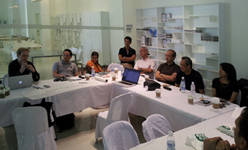 lwa were invited to conduct a studio workshop in Manila. From 05 March to 15 March 2013 Dietmar Leyk worked in Manila with a local team of distinguished architects on new projects for Manila. The project, an investigation on Southeast Asian Cities, was initiated by Aedes East International Forum for Contemporary Architecture NPO, in collaboration with the Goethe-Institutes in Southeast Asia. 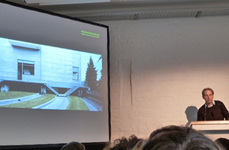 On Tuesday, 06 November 2012, Petra Wollenberg gave a lecture at the Department for Architecture, University of Applied Sciences in Dresden. In her lecture she presented ideas and positions by lwa about the necessity for innovative Forms of Sustainability in urban design. The restaurant for the German headquarters of the French energy company Total, designed by lwa, has been completed. The new headquarters are sited at Europaplatz in Berlin, in the newly built Tour Total, close to Berlin main station. Partition screens create a forest of 750 champagne coloured anodized aluminium tubes with different diameters. lwa were invited to conduct a studio workshop in Jakarta. 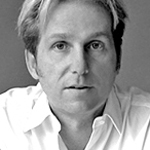 From 02 January to 12 January 2013 Dietmar Leyk worked in Jakarta with a local team of distinguished architects, designers, and other disciplines on new projects for Jakarta. The project, an investigation on Southeast Asian Cities, was initiated by Aedes East International Forum for Contemporary Architecture NPO, in collaboration with the Goethe-Institutes in Southeast Asia. The new applied research studio led by Dietmar Leyk at The Berlage Center for Advanced Studies in Architecture and Urban Design started at the TU Delft on 29 October 2012. 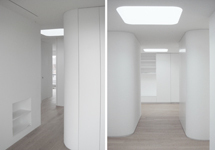 Apartment LK1, designed by lwa, has been completed. The apartment allows a theatrical performance of light and shadow and spectacular views over the city of Berlin. Dietmar Leyk and Yoshiharu Tsukamoto of Atelier Bow Wow discussed the unique characteristics and changing conditions of public space in Tokyo. The talk is part of the ANCB-Zumtobel City Lights Project. 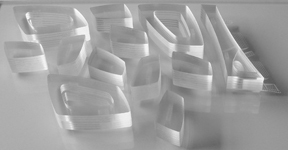 On Tuesday, 22 May 2012, 19:00h, lwa gives a lecture at the Department for Architecture, University of Applied Sciences Erfurt, in which we lead the audience backstage lwa, explaining the multiple processes related to the understanding of challenges and the design of architecture. Petra Wollenberg has been invited to be a member of the international jury for the AIT-Award 2012. To award the most excellent and outstanding architecture and interior architecture projects, the jury evaluated 1750 projects by 825 offices from 47 countries. The award ceremony and the AIT-Award exhibition take place during the Light + Building 2012 trade fair in Frankfurt. Dietmar Leyk will open a conversation revolving around the interdependency between the critical making of the city and the careful observing of the contemporary city. Bodies of Light is the first of four events within the ANCB Zumtobel Advanced Research entitled The City Lights Project conducted by Dietmar Leyk. The event introduces positions by Peter Bialobrzeski Photographer, Hamburg and Jan/Tim Edler, Directors realities:united, Berlin. Friday, 16 March 2012, 6.00pm, ANCB The Metropolitan Laboratory, Christinenstr. 18-19, 10119 Berlin. lwa has been commissioned to design a new five-star hotel resort, spa & clinic. The Hotel is located in one of the most fascinating places at the Adriatic Coast in Croatia and includes a 100.000 sqm parc landscape. The exclusive hotel is conceived as a new form of health environment to relax and convalesce. Dietmar Leyk collaborates on rethinking the office space with the Berlage Institute in Rotterdam. Together with Steelcase Workspace Futures the Berlage Institute will develop innovative strategies to prepare the workspace for the 21st century. 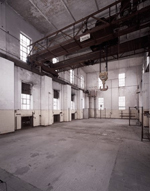 The Berlage WorkSpace Group met in February 2012 for its inaugural meeting in Rotterdam. 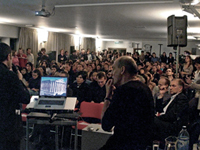 On 03 February 2012 Dietmar Leyk conducted a conference concerned with cultural and urban strategies for the European city of tomorrow at ANCB The Metropolitan Laboratory. Participants were: Bernd Streitberger (Head of Department: Planning and Building, Cologne), Prof. Albert Speer (Founder A.Speer & Partner, Frankfurt), Bjarne Hammer, (Founder Schmidt Hammer Lassen Architects, Aarhus), Per Erik Veng, (Head of Communication, Culture & Public Diplomacy, The Royal Danish Embassy, Berlin), among others. 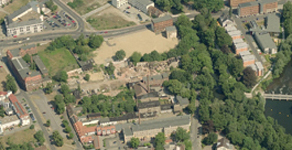 lwa has been commissioned to develop a masterplan for the introduction of 30.000sqm mixed use and housing units in Cottbus-Ostrow on a former textile industry area. The strategy will show sustainable concepts to achieve a highly energy-efficient quarter for the client eG Wohnen 1902. The apartment, a constellation of white freestanding islands, is near completion. Petra Wollenberg together with Dr. Lars Scharnholz publishes "Energetischer Staedtebau". The publication is the result of a comprehensive research project at the University of Applied Science Lausitz conducted by Prof. Petra Wollenberg, Chair for Urban Design and Design and Dr. Lars Scharnholz, research assistant. 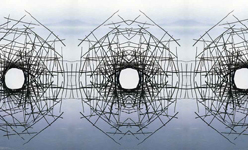 On 08 December 2011, 15.00h, Dietmar Leyk lectures at the Technical University Berlin. He will be speaking about the future role of the library including the 2010 1st prize awarded Lecture Hall and Media Centre Darmstadt by lwa. Further speakers are: Max Dudler, Donatella Fioretti, Gabriele Gloeckler, Andrew Alberts, Raoul Bunschoten and Jonas Fansa. The movie Neue Nationalgalerie - Potsdamer Strasse 59 | Berlin by Dietmar Leyk, photographer Jan Bitter and the Berlage Research Team will be presented at the international symposium Rethinking Mies | Mies Neu Denken in Aachen from 24 October 2011 until 27 October 2011. Dietmar Leyk, together with the ANCB Metropolitan Laboratory and the Universiti Teknologi Mara, Malaysia, organised and accomplished a study about the future meaning of the Berlin S-Bahn-Ring: Imagine a circular band of civic domains around the inner city of Berlin. A circular campus consisting of academic institutions, housing, private companies, and parks. 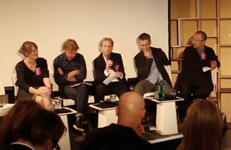 On 14 May 2011 Dietmar Leyk lectures at the AEDES Network Campus Berlin in which he presents his ideas about the role of the library in the new media age. The lecture is part of a symposium where international experts from various fields will discuss questions concerning a new Berlin Library on the former Tempelhof airport field. 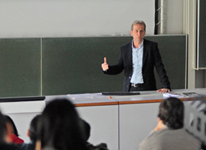 On 11 May 2011 Dietmar Leyk gives a lecture at the Technische Universitaet Braunschweig in which he discusses the future of WorkLife and its impacts on architecture and the city. Petra Wollenberg (Professur fuer Staedtebau und Entwerfen an der Hochschule Lausitz) veranstaltet in der Zeit vom 04. bis 08. April einen internationalen Workshop im Aedes Network Campus Berlin. 30 Studierende der Hochschule Lausitz, der Hochschule Nysa, des Politechnika Lodz und Schue-lerinnen des Oberstufen-zentrum Elbe-Elster werden fuer das faszinierende Gebaeudeensemble des Umspannwerks Wilhelminen-hofstrasse in Oberschoeneweide innovative Nutzungs- und Raumkonzepte entwickeln. 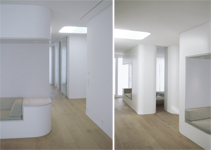 Designed by lwa, the project is located on top of an existing building in Berlin. 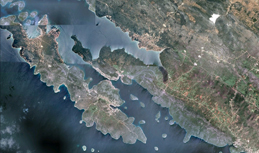 A constellation of freestanding islands underlines the fluid spatial concept. The innovative open space allows a theatrical performance of light and shadow and an extensive menu of different spectacular views over the city. lwa designed a temporary spa unit. Wellmotion represents a mobile oasis for relaxation. It can be dismantled in a short time and stored safely in a sealed container, or transported to any other place. The interior includes a sauna, a steam room, shower cabins, a whirlpool/ floatingbath, as well as a lounge with fireplace. Wellmotion will be presented at the ITB in Berlin from 09 - 13 March 2011. Dietmar Leyk conducted a conference at ANCB The Metropolitan Laboratory. Keyspeakers were: Prof. Reto Wettach, University of Applied Sciences, Potsdam; Dr. Dieter Kunz, Head of Department of Sleepmedicine, Charite, Berlin; Dr. Winfried Heusler, Assistenz Senior Vice President Engineering, SCHUECO International KG, Bielefeld; Marcel Bilow, Dipl. Ing., Founder imagine envelope; Duncan Wilson, Associate Director, Arup Foresight Innovation, London; Jan-Christoph Zoels, Senior Associate Professor at Interaction Design Institute Ivrea; Carlos Alarcon, Project Architect Sauerbruch Hutton Architects, Berlin. Dietmar Leyk and Patricia Urquiola discussed their idea of creative work environments on Orgatech in Cologne. They focussed on the question: How does space influence innovative thinking. Dietmar Leyk together with Steelcase WorkSpace Futures publishes "Working and Living in the City of Knowledge". The publication is the result of a Berlage Institute postgraduate design research studio led by Dietmar Leyk in collaboration with Steelcase WorkSpace Futures. 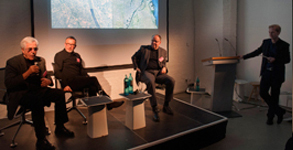 On 27/28 November 2010 Dietmar Leyk gives a lecture at the Steelcase Conference in Cologne in which he discusses the Metropolitan Imprints Project. Further speakers include renowned personalities like Dr. Chris Luebkeman, Patricia Urquiola, Chris Bangle, Prof. Dr. Frank Piller and Prof. Dr. Joachim Bauer. 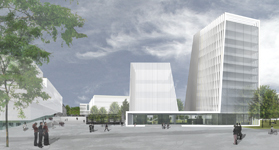 lwa has been commissioned to build the new restaurant for the new Total headquarter in Berlin. It is due for realisation in 2012. The design provides a dining area for 600 Total employees. lwa, together with 100 landschaftsarchitektur, has been awarded a 1st prize in the recent competition for the new lecture halls and media centre of the Technical University (TU) Darmstadt. The building contains four lecture halls, 20 seminar rooms, and a library with high-level knowledge workspaces including a broad access to print and digital media. Dietmar Leyk organized and conducted a workshop and discussion concerned with new living and working conditions under the influence of "Nomadic Culture" at the AEDES Network Campus Berlin in collaboration with the Berlage Institute Rotterdam and Steelcase. 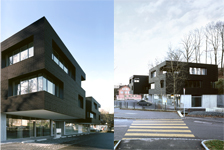 The Y-House in Merenschwand (Switzerland) by lwa has been completed. "Embracing Difference" by Dietmar Leyk will be released on Friday, 9 October 2009 in Hunch 13 through the Berlage Institute, in collaboration with NAi Publishers. 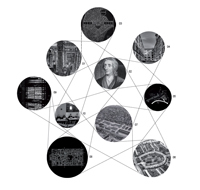 The issue explores how consensus shapes the built environment. The Berlage Institute will celebrate the release at the Open Podium component of the 4th International Architecture Biennale Rotterdam. Contributors to the issue include Sherry R. Arnstein, George Baird, Wayne Congar, Reto Geiser, Sandi Hilal, Adrian Hornsby, Jeannie Kim, Thomas A. P. van Leeuwen, Lars Lerup, Dietmar Leyk, Mary McLeod, Matthew Moore, Alessandro Petti, Aryan Sikkema, Speedism, Madelon Vriesendorp, and Alejandro Zaera-Polo. Petra Wollenberg has been appointed Professor for Urban Design at the University of Applied Sciences Lausitz in Cottbus. lwa has been awarded a 1st prize in the competition for the new Mercedes-Benz Flagship Office and Store Romania, as well as 900 apartments in Bucharest. Dietmar Leyk has been invited to become Visiting Professor for Architecture and Urban Design at the Berlage Institute Rotterdam. The Berlage Institute is an international postgraduate laboratory for education, research and development in architecture, urbanism, and landscape. Petra Wollenberg together with Nicola Schueller and Kees Christiaanse published "Urban Reports - Urban strategies and visions in mid-sized cities in a local and global context". Representatives from six European cities report on their fascinating visions for transforming their cities in the 21st century. The black-glazed-wood-facade has been completed. Dietmar Leyk conducts a discussion and a lecture by David Hakkenberg about the Dutch Palais/Berlin in the Royal Netherlands Embassy to the Federal Republic of Germany on 26 March 2009, 19.00h. Dietmar Leyk has been invited to join a think tank focused on the future of the workspace in the European office building, organized by AIT Magazine and Steelcase. The event will take place from 02 March 09 to 07 March 09 in Marrakech / Morocco. 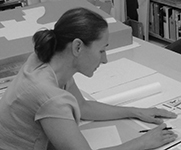 Petra Wollenberg has been a member of the international jury for the 2009 contractworld award. The contractworld award is Europe's most lucrative award for interior design work, involving a total of 60,000 euros in prize money. The jury considered a total of 570 projects, including 293 from countries other than Germany. lwa has been awarded the 5th prize by the international jury for the design of the new International Contemporary Culture Centre specialized in visual culture. 61 teams from all over the world were invited to turn the old tobacco factory of San Sebastian into an emblematic place in the city. 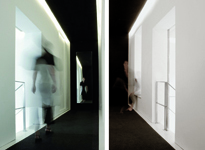 On January 14/2009 Dietmar Leyk will lecture on "Signature and Reality" in a series of lectures concerned with the issues of "Surface and Innovation - Haute Couture in Interiors" at the Forum MacroArchitecture in Munich. The lecture series will be presented by the magazine AIT. lwa has been selected as one of two short-listed firms for the design of 135.000sqm luxury living in the northern part of Bucharest. 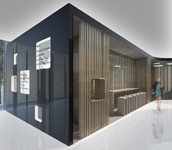 The project includes the Mercedes-Benz Flagship Office and Store Romania. Dream Space, a floating surface for meditation, by lwa for Bauwerk Parkett, has been selected for the exhibition in their showroom at the Munich Trade Fair "Bau 2009". Additional it has been published in the magazine "parkvision". 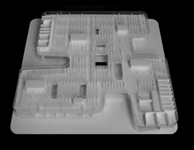 lwa, together with 100 landschaftsarchitektur, has been short-listed for the design of the new University Campus in Kassel. The design includes buildings for the sciences as well as a new Campus Centre containing six lecture halls. 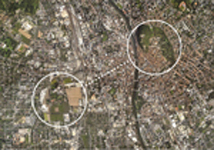 Dietmar Leyk has been invited to be one of seven consultants to discuss possible directions and innovative models to develop a 540.000sqm site in Graz-Reininghaus. Joan Busquets, Andres Duany, Erick van Egeraat, Vittorio Magnago Lampugnani, Dietmar Leyk, Philipp Oswalt, and Kazunari Sakamoto outlined a wide range of urban scenarios for the future of the European city and the city of Graz. Construction continues on the Y-House in Merenschwand, Switzerland. The building will be completed in April 2009.
lwa has been awarded the 2nd prize by the international jury for the design of the new Museum of Contemporary Art & Planning Exhibition (MOCAPE) in Shenzhen / China. 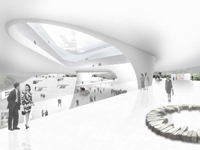 The total floor area of the museum is 105,000 square meters. Jury: Arata Isozaki (chairman, Japan), Kenneth Frampton (USA), Di'an Fan (China), Ralph Lerner (USA), Pao-The Han (Taiwan), Rocco Yim (Hongkong).